HDC is an object and drawing management system used in Facilities Management and other areas. In many aspects it can resemble an indoor GIS system with support for flexible object linking, visual presentations and world versioning system that provides audit trail and access to historical data. Our main goal and vision is to develop a unique, extremely flexible platform that will combine data from multiple, virtually incompatible sources. To name a few, HDC integrates data from BIM, scanned drawings, FM systems via Fi2 or IFC standards, Excel, CAD Files, GIS & Map systems. All of this data is easily accessible via single web application that provides desktop like performance and productivity. Flexible nature of HDC makes it a “Swiss army knife” capable of managing floor plans, apartments, spaces, equipment but also area outside building, like tree inventory or parking spaces. New classes and use cases can be easily added and configured on an already running system. HDC is built around a Uniform Management Principle. It simply means that whatever is the source of your data, you can manage it in the same uniform way. BIM model obviously provide enough data to create active models and presentation. In HDC, the same functionality can be obtained even from scanned paper drawings. In that case the overlay and metadata must be added manually. All object presented on the drawing or model can be managed visually. Selected properties are presented by using color codes. Values from single object can be copied and applied to multiple objects in a single bulk operation. Changes in values are instantly reflected on the drawing. Any data stored in HDC can be used for visual filters. Filter legend contains color and label as well as summary column like area and object counter. Filters can be both strictly predefined or generated automatically from available values. Tools Mapping can be used to always obtain the same colors for known values. Possible usage scenarios vary from showing area type on the floor to tenants in the apartments and are virtually unlimited. HDC offers easy to use measurement and redline tools. Redline can be performed without altering original drawing content. Redline content can be easily shared with some users and hidden from the others. Discard or publish Drafts when they are ready for public access. Prepare inventory works within a controlled Draft with visualization of changes. Almost every organization has its own specific solutions and data requirements. HDC flexible and powerful configuration system allows us to adopt to almost every requirement. Object classes, their metadata, linking and presentation can be tailored to customer needs. Whats more, reconfiguration does not require any programming skills. All configuration details are performed through graphical interface. Exisiting system can be reconfigured and extended without any data loss. Those features allow HDC to be future-proof as well. It can accommodate and grow with your organization. Those key features allow HDC to become a central information hub. All data can be normalized in one place, even if your data sources are potentially incompatible and use different schemas. 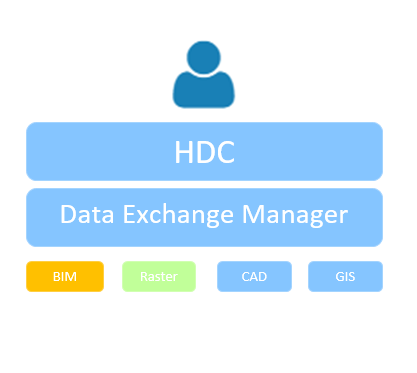 HDC can be adopted by configuration alone to future standards and changed implemented in currently available ones. Most systems dealing with BIM models and similar data allow only for very general, project level security settings. In HDC, you have a full control over every single object. If that is not enough, you can go down to single field level (Field Level Security). Security can can also be controlled based on specific object class like Room or Equipment. HDC is all about easy access to data on every desk. We do not aim to replace powerful GIS systems, but they are overly complicated for everyday office use. HDC brings the necessary data in the same familiar web interface. 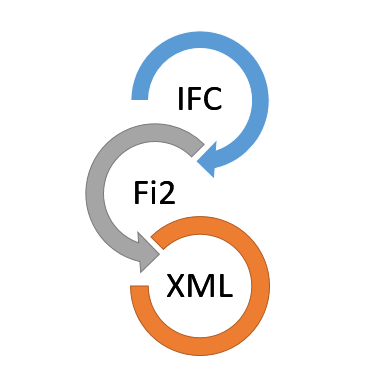 Multiple standards are supported, including TMS, OSM, WMTS.